Allen & Associates was formed in 1991 by Laurence G. Allen, MAI, former national director of appraisal and valuation services for BDO Seidman, an international accounting and consulting firm. Headquartered in Birmingham, Michigan we prepare valuation and consulting reports on more than half a billion dollars in real estate assets each year. In all instances, Allen & Associates uses current valuation and consulting techniques to meet the realities and needs of the ever-changing real estate market. Many of our assignments involve multi-property portfolios and are national in scope. Our experience and knowledge in the application of software packages such as ARGUS, as well as specialty hotel and market analysis software, assure our clients of services responsive to their specific needs. Estimating value, determining market demand and financial feasibility requires a blend of up to date market information, expertise and sound judgment. For this our market analysts hold degrees in finance, engineering, economics and business, and are affiliated with organizations such as the Appraisal Institute, and Chartered Financial Analysts Institute. We have prepared market studies and/or appraisals in more than 25 states but our principal focus is on real estate in the state of Michigan. 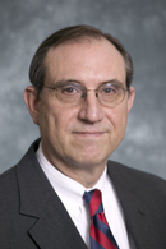 Laurence G. Allen, MAI, CFA, RICS has over 40 years of real estate valuation and consulting experience. Since 1973, he has performed more than 3,000 appraisal and consulting assignments for a variety of property types throughout the country. His experience includes the appraisal and feasibility analysis for a wide variety of commercial, industrial and multi-family property types, for mortgage financing, property tax and litigation. Mr. Allen has written a number of articles in the Appraisal Journal, Michigan Assessor magazine and Community Management magazine. He wrote a section titled "Estimating Value" for the book How to Find, Buy and Sell Manufactured Home Communities. Mr. Allen taught courses on real estate appraisal at the University of Michigan and was a guest lecturer on real estate appraisal there and at the Michigan State University School of Business Administration graduate program. Mr. Allen is a licensed real estate broker and a state-certified real estate appraiser in Michigan, Indiana, Arizona, and Colorado. He holds the MAI designation with the Appraisal Institute and the CFA (Chartered Financial Analyst) designation with the CFA Institute and was elected a professional member of The Royal Institution of Chartered Surveyors (RICS). Mr. Allen received his bachelor's degree with honors from Linfield College and his master's degree in business administration from the University of Michigan. Mr. Wiley has been a full-time associate at Allen & Associates since July, 1995. He graduated from Wayne State University with a bachelor of science degree, with honors, in business administration. His major at WSU was investment finance with a minor concentration in real estate finance. Mr. Wiley has been involved with a wide variety of commercial properties, with an emphasis on industrial sites. Mr. Cesa joined Allen & Associates in August of 2000 as an associate. He received a bachelor of science degree, and a master's degree in business administration with a concentration in finance from Oakland University. Mr. Cesa has worked on a number of major properties including office buildings and shopping centers, concentrating on residential subdivisions and condominium projects. Ms. Hart has been a member of the Allen & Associates staff since May of 2005. She has over seventeen years experience in market, area, and retail studies, and over twelve in office management, accounting, and various facets of business administration, management, and application. She received her Bachelor of Science degree from Grand Valley State University and her Master's of Management from Walsh College. Mr. Carroll, president of Allen & Associates Consulting, an independent business affiliated with Allen & Associates, specializing in low income rental housing studies. Mr. Carroll has more than 15 years real estate consulting experience. Since 1988, he has performed more than 650 market studies, appraisals and environmental assessments throughout the country. Mr. Carroll is a Certified Environmental Inspector and a member of the Environmental Assessment Association. He is licensed through the Michigan and North Carolina Appraisal Boards and is an associate member of the Appraisal Institute. Mr. Carroll is currently completing the requirements for MAI designation. Mr. Carroll is also an experienced developer and property manager. His experience includes the development of tax credit apartment communities, conventional market rate apartments, manufactured home communities, and single family subdivisions. He has also managed a portfolio of apartment complexes and manufactured home communities. Mr. Carroll has written articles on development, market assessment, financial analysis and property management for Urban Land magazine, the Journal of Property Management, Community Management magazine, Merchandiser magazine, and the Texas A & M Real Estate Research Center. He has conducted seminars on development, market & feasibility analysis and affordable housing for the American Planning Association, the Georgia Department of Community Affairs and the Manufactured Housing Institute. Mr. Carroll received his bachelor of science degree in chemical engineering from Clemson University with a minor concentration in economics and his master's degree in business administration from Harvard Business School with a minor concentration in economics and real estate. Charles Skelton is president of Hospitality Advisors Consulting Group, which specializes in the hospitality and real estate industry nationwide. From 1983 to 1990, Mr. Skelton was the senior principal in charge of the leisure time and real estate advisory services consulting practices in Laventhol & Horwath's Southfield, Michigan office. During that time he conducted feasibility and market analyses on projects including hotels, resorts and conference centers and multi-family residential and multi-use commercial developments. Mr. Skelton has been particularly involved in numerous hotel and conference center development projects and has conducted seminars on the topic. He has conducted strategic planning sessions for commercial corporate real estate groups and participated in several studies having to do with highest and best use of real estate. He received his bachelor of art degree in economics from Muskingum College and specialized education in real estate analysis as required by the American Institute of Certified Public Accountants. He belongs to the Michigan Travel and Tourism Association and Building Owners and Managers Association and chaired the Ann Arbor Convention and Visitor Bureau from 1983 to 1985. He publishes the trade journal Hospitality Advisors' Lodging Commentary. Mr. Skelton is a licensed real estate salesperson in Michigan.